The Lucky Block addon "Spiral" has been created some customized drops with the awesome new drops. There are about 150 drops available as well as the new ones added by this mod and about 50 modified default drops. Moreover, there is a bunch of potions which will be useful for those who love playing minigames or in pvp server. 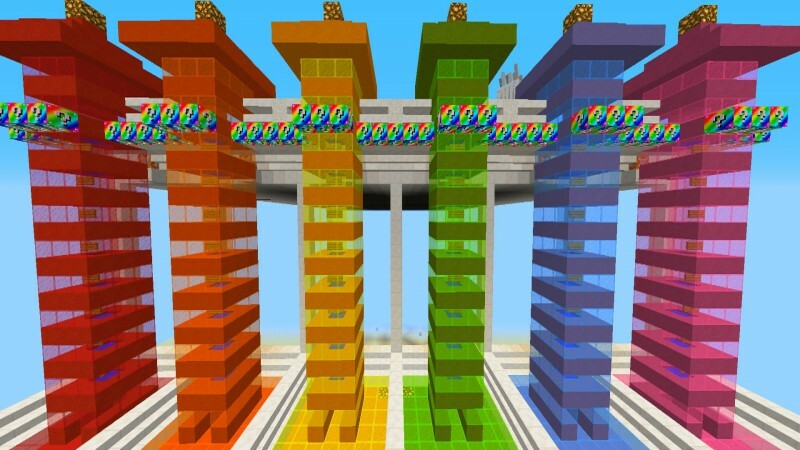 There are also a lot of structures like the lucky tower that will randomly generate itself while you are climbing it. The recipes for the Lucky Block Spiral is pretty simple. All you need is the Lucky Block, Emerald, Redstone, Diamond and Lapis. There are some more new things added including Ice Jar, Spiral Dungeon with a new boss and the secret hidden room, Astral Creeps falling from the sky, Chest Pedestals, Spiral Towers, Spiral Sword.